Christmas cookie baking time! 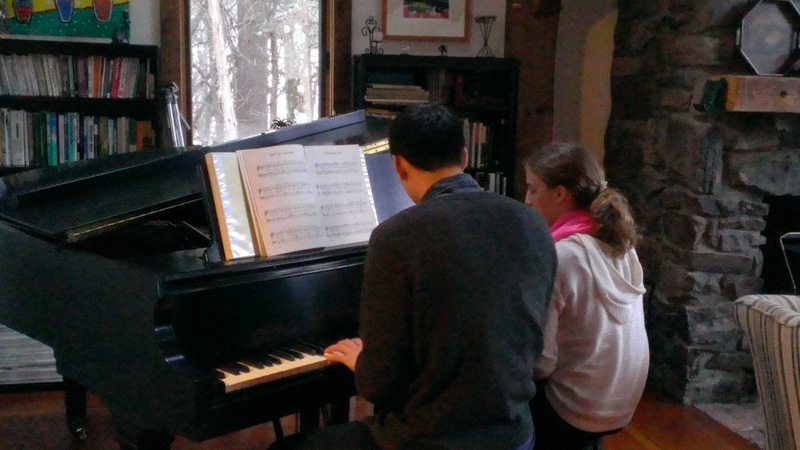 Last year I had the team out to my house to bake and decorate Christmas cookies, but this year, Hannah and Harrison were the only ones who had time. we did it on the reading day, so I think most people were busy preparing (or cramming?) for their upcoming finals. Lydia, Lois, Max and a friend also joined in the fun after school. 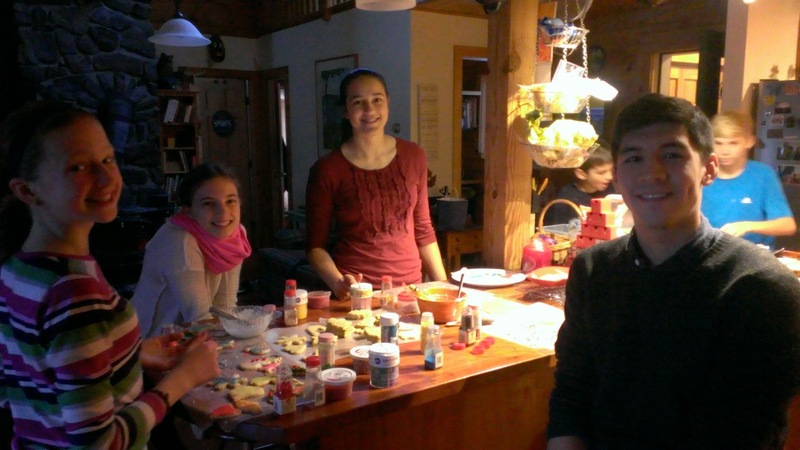 The young boys rolled out the second batch of dough, cut out more cookies, and ate quite a bit of raw dough. 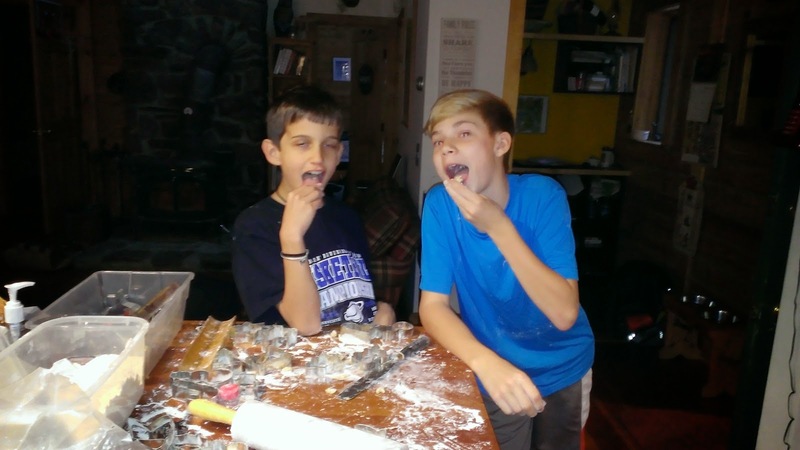 (We all had to have just a little raw cookie dough, for old times sake!) 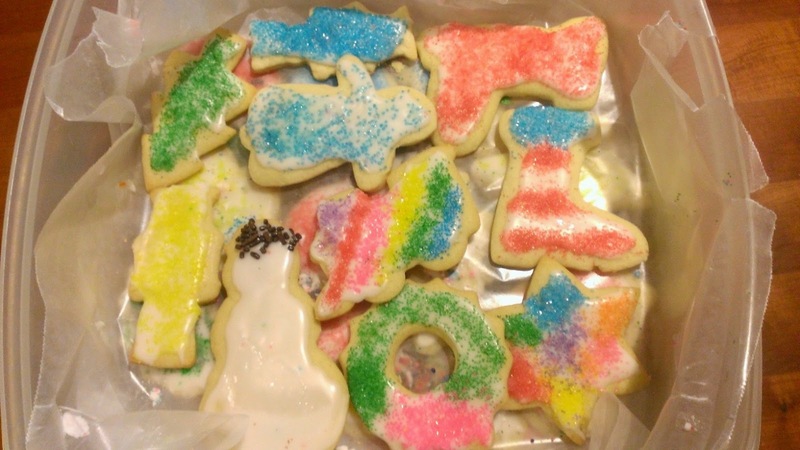 My girls, Hannah and Harrison decorated the cookies, all the while listening to Christmas music. Hannah also brought out some great Cabot cheese that she'd received from her Track Coach and shared that with us, so we ate cheese and crackers while decorating (and eating) cookies. What fun! 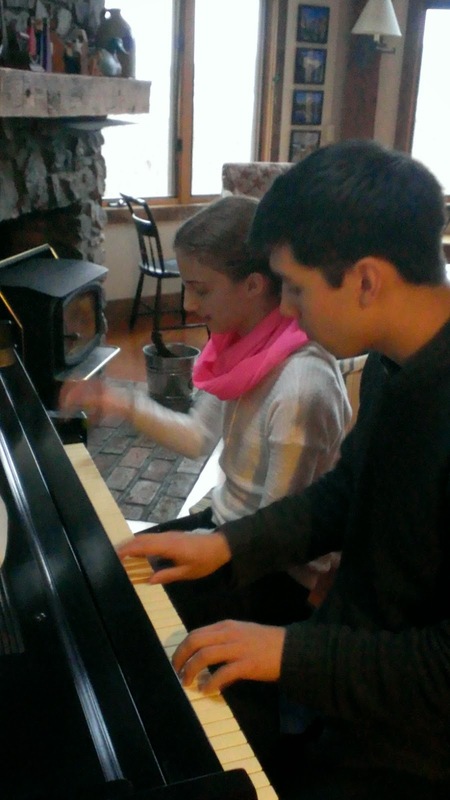 Then, Harrison got Lydia to do a duet on the piano--and this is when we learned that he was a Music major. He's quite talented! We also learned he has a flare for fictionalizing life stories, and has a great sense of humor! Later this week, we ended up getting a nice winter storm, which meant two snow days for my kids, so I hope everyone traveling during this time got where they were going safely! We ended up getting over a foot of wet, heavy snow, so we're lucky that we didn't lose power out at our house. 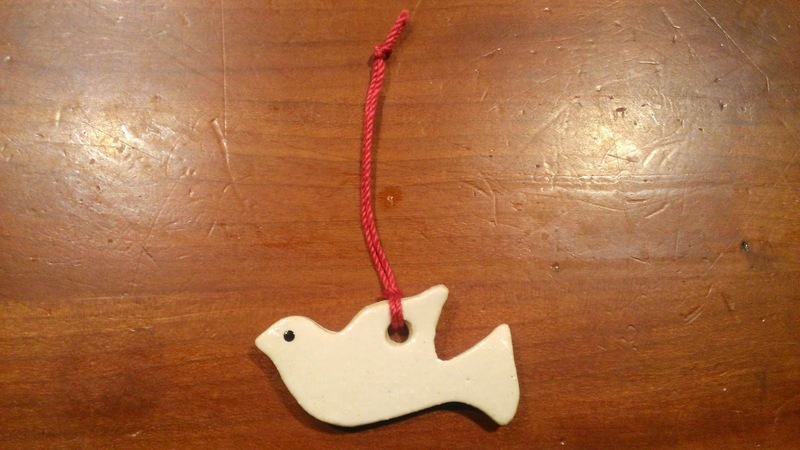 The picture below is of the adorable dove tree ornament that Sylvie made--thank you Brian and Sylvie--I love it, and it'll go on the tree just as soon as we actually get it!! Good luck on Finals, safe travels to all, and have a wonderful Holiday! !